ENMGR usually holds at least a couple Technical Sessions every year. They're a great time where you can learn how to fix various things on your car. This time, we put a new hood (top) on an MGB LE, and replaced the seats cushions and covers. Proof that it's possible to drive an MG year round. 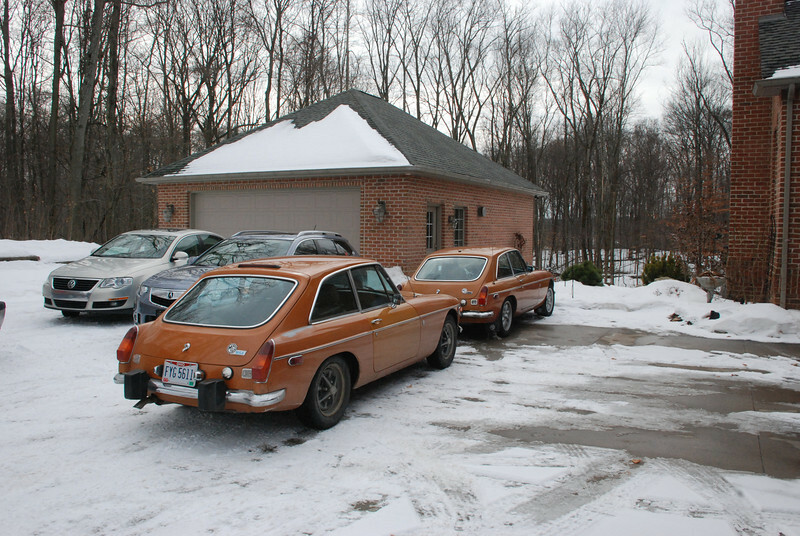 They're both 1974 model MGB-GTs, in Bracken, the one in the front is an early '74 owned by Dave D, the one in the rear is a late '74 with the Sabrina overriders, owned by Ted S.